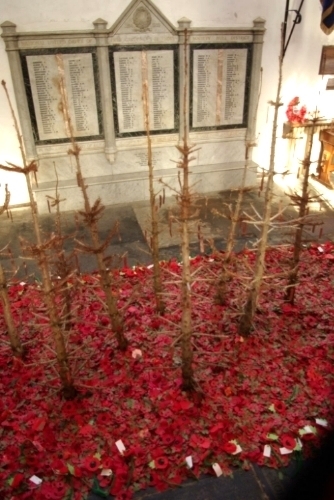 During November Martin Waters will again be displaying a poppy installation in Holy Trinity . Broken trees seen along the skyline of World War 1 battlefields. Mud and Blood on the earth. This poppy installation is a tribute to all the fallen of wars over the last 100 years and the present conflicts now taking part in Afghanistan and Iraq.